I have no poetry skillz. So I’ll spare you, and not actually compose an ode to my immersion blender. The point still stands, I really love my immersion blender. Thanks, roommate! 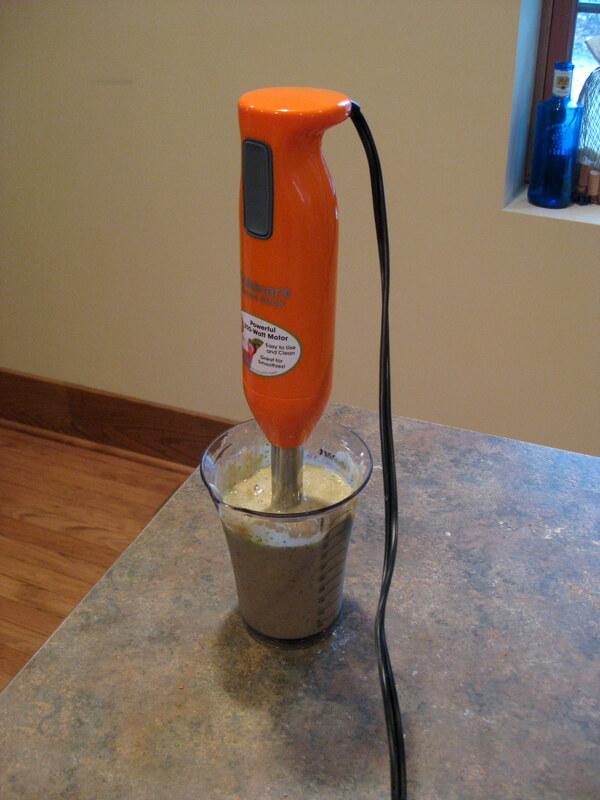 What’s an immersion blender, you ask? Well, let me tell you. It’s like an upside down blender. 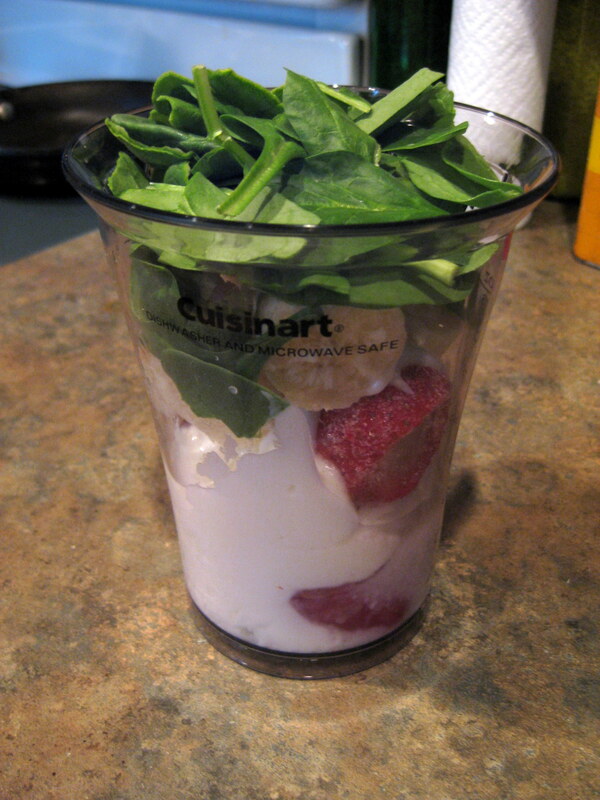 Instead of pouring the things into a blender, you put the blender into the things. The things you want blended, that is. Magical, no? And clean up? Whoa. Detach the head of the blender, rinse it off, and you’re done. That’s not all. Would you like to hear about soup? Gone are the days of pouring your soup into the blender, one batch at a time. Keep it in the pot and blend away (immersion style)! I wanna know: What’s your favorite kitchen appliance/gadget? Whoa, bright orange? Easley, don’t you know that’s her least favorite color? 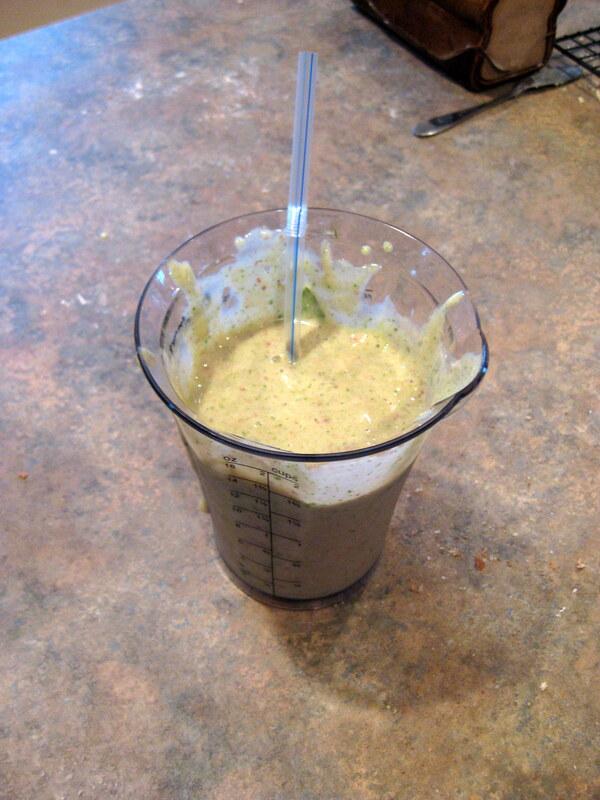 LOOOOOOVE my immersion blender. Once I get past my love of my wooden spoons (not an appliance or gadget) and my crockpot (appliance) there is nothing I love more than my immersion blender. Soup, spaghetti sauce and pizza sauce have all met my immersion blender. Most brilliant thing ever. Sauce! I didn’t even think about that! Brilliant.